This was first time back in the fells after a 6 month hiatus. 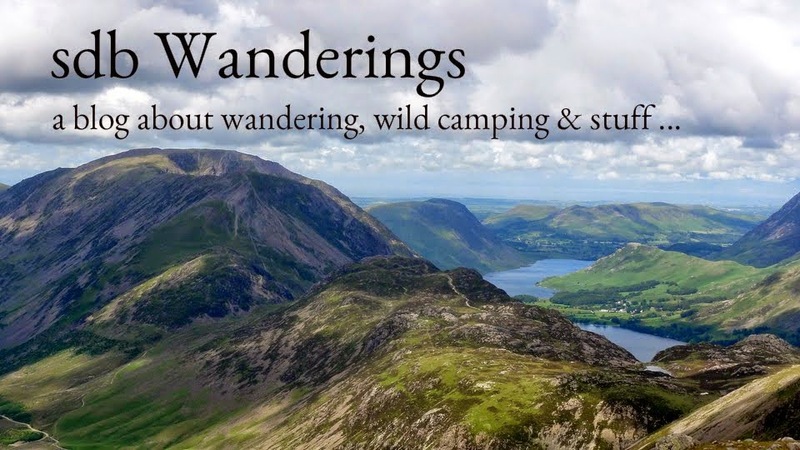 I've lost a bit of fitness so decided to peruse the less lofty fells on my Wainwrights 'to-do' list. High Rigg seemed like a nice option. Indeed Wainwright described this very walk as being "... suited to old and rickety fellwalkers long past their best". Perfect for me then! He also suggests doing the walk clockwise so that the lovely views of Blencathra are always in front when on the higher ground. I therefore followed this advice. I parked right by Smaithwaite Bridge on the A591. There is a stile and gate within the dry stone wall just north of the bridge where the path heads along St John's Beck. A steepish path then branches off on the left towards Wren Crag. The hillside is littered with uprooted trees following the recent winter storms. 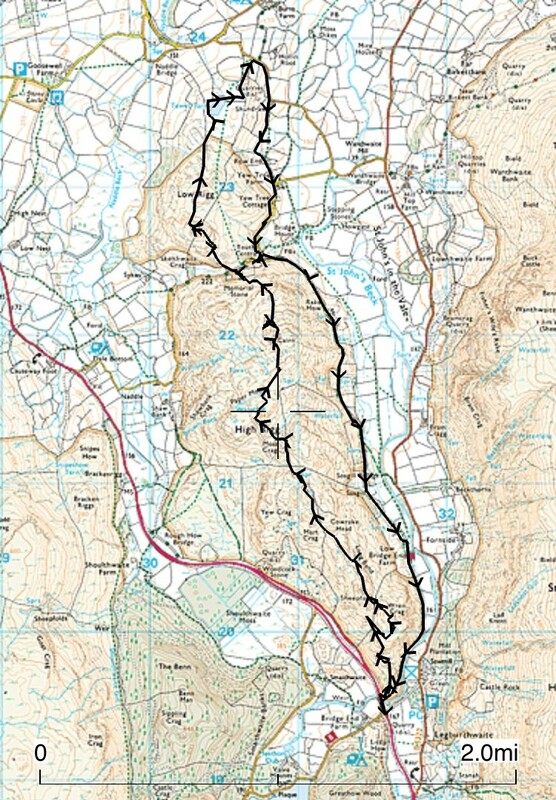 From High Rigg I decided to extend the walk over Low Rigg and Tewet tarn. The path passes the little church and youth centre. There can't be a more picturesque Youth Centre in the UK ? I then headed back via Yew tree farm and the main path skirting Rake How and heading towards Low Bridge End Farm following the course of St John's in the Vale Beck. Overall a lovely little walk perfect for blowing off the cobwebs.